Lois went to be with her Lord and to be reunited with her husband on Friday, April 27, 2018 in Kalamazoo. She was born April 28, 1933 in Otsego, the daughter of Otis and Jean (Hendrick) Root. 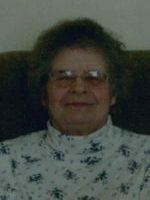 Lois spent 20 years as a playground, Special Education and office aid for the Plainwell Public Schools. On April 3, 1954 in Otsego she married John “Ernie” Horton who passed away in 2011. Surviving are her sons, Ernest (Jan) Horton of Plainwell, Ron Horton of Plainwell and Douglas (Sally) Horton of Kalamazoo; 9 grandchildren; 3 great-grandchildren; sister, Sharon Bolen; sister-in-law, Margaret (Monty)Miller; special cousins, Jean Jacobs and Rod (Carol) Mackay and special family members, Don (Kathy) Bergman and Brent Gettys. She was preceded in death by her parents, husband and brother, Vernon. A private family graveside service will held at Hillside Cemetery in Plainwell. Contributions in memory of Lois may be made to the Church of Christ in Plainwell. Doris passed away Thursday, April 19, 2018, surrounded by her family at Stanford Lodge in Plainwell. She was born June 20, 1922 at home on 8th Street in Alamo Township, the daughter of Sheldon and Emily (Greeley) Blanchard. Doris was valedictorian of the Otsego High School Class of 1940 and a lifelong resident of the area. She had attended Parsons Business School and had worked at JM Wilson Insurance Company in Kalamazoo. In her spare time she enjoyed gardening, taking care of her house plants, canning, square dancing and traveling. Doris liked volunteering at Alamo Nursing home helping with bingo and raised money for the March of Dimes. Most of all she loved her family and had spent many hours helping to homeschool and care for her grandchildren. 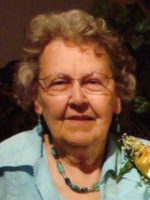 Doris was an active member of the Alamo Community Congregational Church. On June 4, 1943 at her parent’s home in Alamo Township she married Leonard Porter who passed away in 2004. Surviving are her son, Don (Loretta) Porter of Otsego; 5 granddaughters, Angela, Karla, Tracie, Melanie and Sarah and their spouses; 8 great-grandchildren with another due soon and her sister, Aloh McCabe of Colorado. She was preceded in death by her parents, Sheldon and Emily; husband, Leonard; son, Carl (Lori) Porter and brothers, Carlton, Rolla, Harold and Melvin Blanchard. Friends may visit with Doris’ family from 4-6 P.M., Sunday, April 22, 2018 at the Winkel Funeral Home, Otsego, where a funeral service will be held at 2:00 P.M., Monday, April 23, 2018, with Pastor Don Boss officiating. Burial will follow at Alamo Center Cemetery, Alamo Township. Doris’s family would like to thank the staff at Hospice Care of Southwest Michigan and Stanford Lodge for the excellent care and compassion. Contributions in memory of Doris may be made to Hospice Care of Southwest Michigan. George passed away Wednesday, April 18, 2018, at Borgess Medical Center in Kalamazoo. He was born January 26, 1933, in Elmhurst, Illinois the son of Michael and Edna (Overocker) Klaeren. As an athlete for Mendon High School, he earned All-State Honors in football. George proudly served his country in the US Air Force during the Korean War. He earned his Master’s Degree in Education from Western Michigan University where he lettered in football. 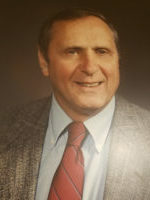 His professional career in education began in 1959 as a teacher, coach, athletic director, and most notably principal of Otsego High School. For 64 years, his biggest role was as a loving husband to Bea and a devoted family man to his eight children and 17 grandchildren. 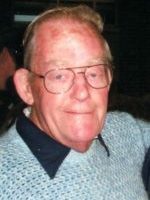 In his spare time he enjoyed playing softball, boating, camping, traveling and attending academic and athletic events for his children and grandchildren. On May 29, 1954, at St. Edward’s Catholic Church in Mendon he married Beatrice Ann Klein who survives. Also surviving are his children, Michael (Sue Kelly) Klaeren, Theresa Calvin, Stephen (Laura) Klaeren, Lisa (Don) Walley, Patrick Klaeren, Kevin (Carol) Klaeren, Laura (Joe Miller) Henckel and Beth (Daryl) Zartman and 17 grandchildren, Katie, Thomas, Elizabeth, Kristen, Melissa, Rachel, George, Daniel, Mary, Matthew, Stephanie, Logan, Maxwell, Ryan, Nathan, Hunter and Jacob. He was preceded in death by his parents and 6 siblings. Friends may visit with George’s family from 4:00 P.M.-8:00 P.M., Friday, April 20, 2018, at the Winkel Funeral Home, Otsego. A Mass of Christian Burial will be held at 12:00 P.M., Saturday, April 21, 2018, at St. Edward’s Catholic Church in Mendon, with Monsignor Thomas Martin officiating. Burial will follow at St. Edward’s Catholic Cemetery in Mendon. Contributions in memory of George may be made to the Otsego Public Schools Foundation or the Mendon High School Athletic Boosters. Warren passed away Monday, April 16, 2018 at Borgess Medical Center in Kalamazoo. He was born April 1, 1935 in Kalamazoo, the son of Clifford and Desdamona (Owen) McKinstry. Warren proudly served his country in the US Air Force. For many years he had worked in residential construction in Arizona and Arkansas and then returned to Michigan. He had also worked at the Dorgan’s Hardware in Plainwell and the True Value Hardware Store in Kalamazoo. In his spare time he enjoyed golfing, bowling, traveling, bird watching and visiting with his many friends. In July 1994 he married Audrey Gehring who survives. Also surviving are his daughter, Kathy (Wes) Teall of Kalamazoo, 3 grandchildren, Heather, Chris and Greg; 3 great-grandchildren, Jacob, Dylan and Royce; brothers, Cliff (Micky) McKinstry of Plainwell and Loren (Ann) McKinstry of Richland; step-children, Ed Bennett, Connie (Paul) Brewster and Darrell Bennett, step-grandchildren, Scott Bennett, Amber (John) Haynes, Tyler Papesh and Mark Brewster and several step-great-grandchildren and step-great-great-grandchildren. He was preceded in death by his parents and daughter, Gloria Ludeking. Friends may visit with Warren’s family starting at 11:00 A.M., Friday, April 20, 2018 until the time of the funeral service at 1:00 P.M., at the Winkel Funeral Home, Otsego with Celebrant Bill Rose officiating. Contributions in memory of Warren may be made to the American Cancer Society. 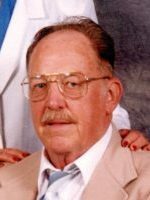 Jim passed away Tuesday, April 10, 2018 at Alamo Nursing and Rehabilitation Center. He was born July 18, 1933 in Otsego, the son of Marshall and Helen (Coburn) Dennis. Jim proudly served his country in the US Army during the Korean War and in the Army Reserves. For many years he had worked for General Motors until his retirement. A lifelong resident of Otsego, Jim was active with the Elks Lodge, Moose Lodge, American Legion and the VFW Post #3030 Men’s Auxiliary. He was a past Exalted Ruler of the Elks Lodge and a past member of the Masonic Lodge. Jim was also active with the National Guard at Fort Custer. In his free time he enjoyed traveling and collecting stamps and coins. On June 27, 1953 in Plainwell he married Winnifred Eddy who survives. Also surviving are his sons, Jim (Carol) Dennis of Cooper, Bill (Becky) Dennis of Plainwell and Kelly (Tina) Dennis of Otsego; 9 grandchildren; 13 great-grandchildren and 2 great-great-grandchildren. He was preceded in death by his parents and sister, Charlene Brooks. Friends may visit with Jim’s family starting at 10:00 A.M., Monday, April 23, 2018 at the Winkel Funeral Home, Otsego, until the time of the memorial service at 11:00 A.M., with Pastor Darin Youngs officiating. Contributions in memory of Jim may be made to the Otsego Elks Lodge. Sara passed away Monday, April 2, 2018 after sustaining injuries from an accident on Easter. She was born June 11, 1984 in Plainwell to Brenda Snyder and Wayne Graff. Sara graduated from Gobles High School in 2002 and continued her education at Kalamazoo Valley Community College where she studied C.A.D and I.T. She had excellent typing and computer skills. 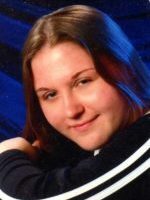 She is survived by her spouse, Autumn Fields; son, Robbie Bixler; mother, Brenda; father, Wayne; brother, Derek Snyder and sister, Kristin Graff, all of Kalamazoo; grandmother, Florence Graff of Plainwell; nieces and nephews, Aubreigh Lamont, Trenton Snyder and Rylee Snyder and stepfather, Eric Burnham. Michael passed away unexpectedly at his home n Otsego Sunday morning, April 8, 2018. He was born November 4, 1972 in Piqua, Ohio to Robert and Betty Jo (Hibberd) Wright. Mike was a diesel mechanic and passionate about his work. 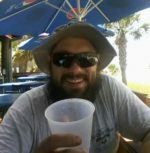 He loved the beach, traveling, camping and listening to music. He is survived by his wife, Tara of Grand Junction; mother, Betty (John) Letts of Otsego; children, Michelle DeLeon, Melissa Jo Rabinowitz, Dylan Minser Wright and Samantha Wright; 3 grandchildren; his sister, Kimberly (Mark) Bemis and 2 step children, Breanna and Jack. He was preceded in death by his father, Robert Lee Wright and by his daughter, Jessica. Friends may visit with Michael’s family Thursday, April 12, 2018 from 4:00 – 7:00 pm at Winkel Funeral Home in Otsego. Celebration of Life services will be held at 11:00 am on Friday, April 13, 2018 at the funeral home.